RE:MiamiBeach reached out to the Ocean Drive Association regarding this year’s Spring Break issues. The ODA represents property owners and tenants on Ocean Drive. Mike Palma, Chair of the ODA, responded to our questions via email about how the issues are impacting the businesses on Ocean Drive. RE:MiamiBeach: What is your perception of the crowd? Are they students? Palma: From what we have seen and gathered, it appears that a large portion of the crowds on Friday and thru the weekend [last week] gathering in the street are not students. RE:MiamiBeach: What are the biggest issues that you see? Palma: For us as Ocean Drive businesses, there is a significant concern with safety for guests and employees. Increased police and barricades shouldn't be status quo or SOP for March on Miami Beach. We are experiencing a double digit decrease in revenue and unhappy customers in what should be the peak of high season. The damage to the brand and the individual business brands is immeasurable. Previously the news hadn't made international headlines, but this year that barrier has been broken. 10th and Ocean: Tables at Ocean’s Ten were mostly empty Friday night in an area where heavy enforcement was taking place. 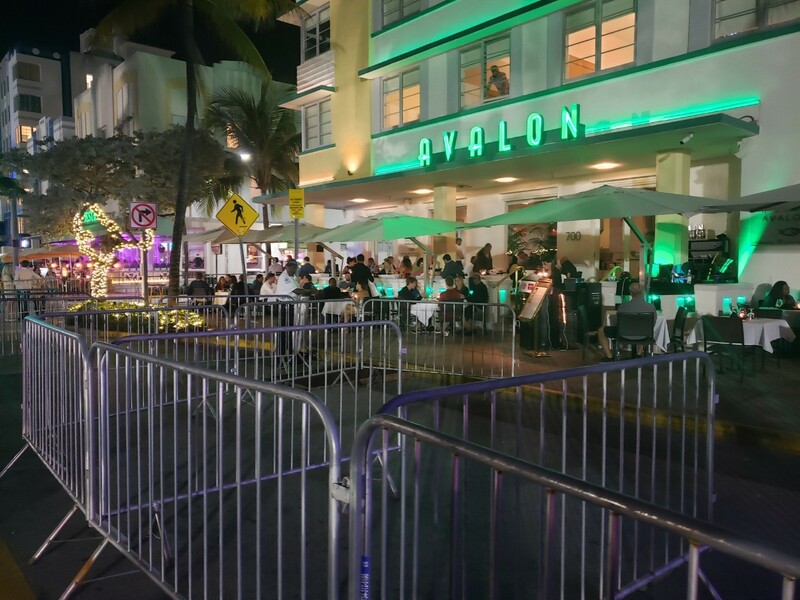 Barricades were set up in front of the Ocean Drive sidewalk cafés to protect them as the City sought to address concerns following unruly behavior last weekend. Late evening dinner crowd at the Avalon at 700 Ocean Drive. RE:MiamiBeach: How does this compare to last year? Previous years? Palma: This has been building. There are promoters programming "Spring Break" over the course of several weeks that has nothing to do with the traditional college semester break. And they aren't coming for Ocean Drive venues, our numbers make that abundantly clear. RE:MiamiBeach: What is the difference from previous years that you are seeing? Palma: Much more non-students in the mix. The call to action seems to be lawlessness, violence and capturing it all for that YouTube bad behavior notoriety. You can see how quick everyone is to pull out their phone rather than to help stop an incident. It’s heartbreaking. RE:MiamiBeach: What are businesses telling their employees about how to deal with the issues? Palma: Spring Breakers aren't the only people here. We have guests visiting from all over the world and they have a right to enjoy themselves. Our employees and businesses continue to strive to provide a good customer experience despite these challenges. It's not easy. Palma: We need to approach this much earlier. Earlier in the year, earlier in the week, earlier in the day. It takes more resources to manage the 15,000 people once they are here, once they come over the bridge and once they have been impaired, dehydrated and agitated. RE:MiamiBeach: How can the issues be contained? Palma: We have to address the “root” cause. 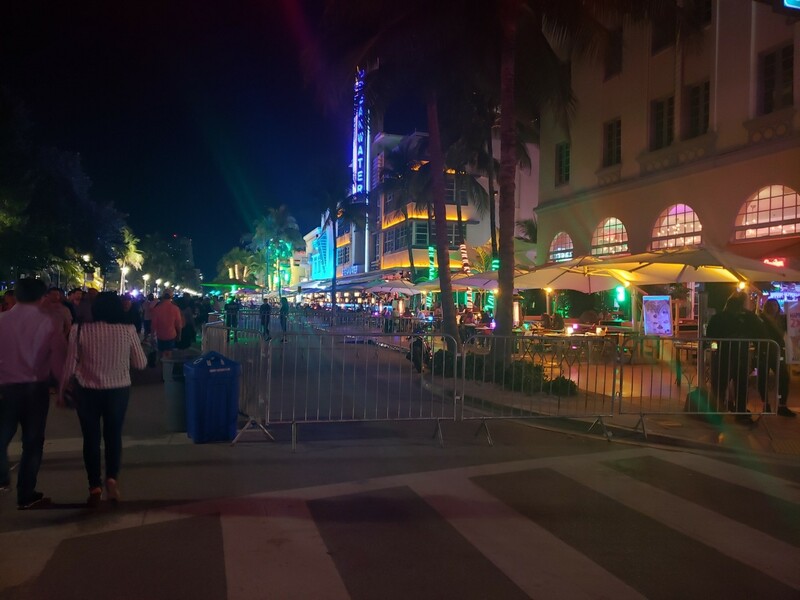 There is a daytime issue (Beach, Lummus Park and Ocean Drive) and a nighttime issue (Washington Ave + Collins Ave - nightclubs promoting to Miami-Dade market and using Spring break as excuse). Both must be addressed. Need vigilant enforcement of Daytime beach access for all (Open containers, drugs, speakers, etc). Needs to start early, 10am and remain til dusk. Focus should be on citing and shutting down the irresponsible venues. The City needs to engage in PRO ACTIVE culture. Stopping and citing Minor offenses that escalate and lead to lawlessness. RE:MiamiBeach: What are you telling the City right now? Palma: We are part of this community and are working hard to help with viable solutions. No one is on opposing sides on this one, we are in this together.